Colorectal Cancer Awareness Month is an annual health campaign organised by the Singapore Cancer Society to raise awareness of the prevalence and prevention of colon cancer and rectal cancer. The Clinic for Digestive Surgery offers comprehensive packages for this purpose, as early detection saves lives! 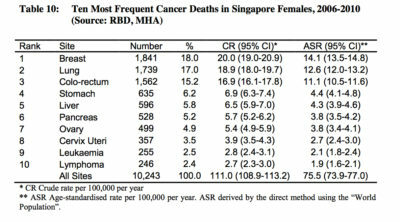 Colorectal (colon cancer and rectal cancer) is the top most frequent cancer in Singapore, accounting for 17.7% of all cancers in men, and 14.1% of all cancers in women (Ministry of Health 2006-2010 statistics- Figures 1 and 2). Colorectal cancer also accounts for 14.8% of all cancer deaths in men, and 15.2% of all cancer deaths in women (Figures 3 and 4). 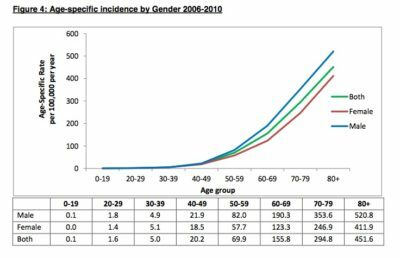 The incidence of colorectal cancer rises with age (Figure 5), starting from the 40-49 age group. 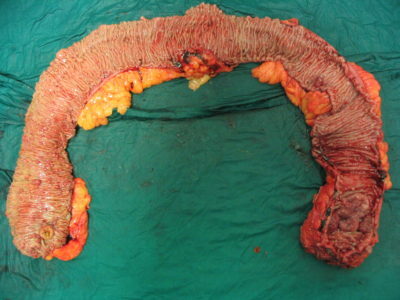 Almost all colon cancer arises from colon polyps, through a series of progressive genetic mutations. 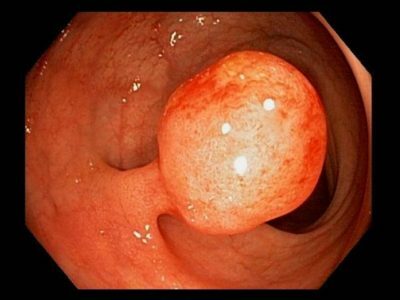 When these polyps are removed in the early stages before the onset of cancer, the chance of developing colon cancer in that polyp is essentially negated. As these polyps are mostly silent (without symptoms of rectal bleeding, bowel habit changes or abdominal pain and discomfort), they are best picked up through screening. Therein lies the basis of screening – investigating in the absence of symptoms, especially in the age-groups where the incidence of colon cancer rises. There are several options available for the screening of colon cancer – ranging from the simple stool test to the non-invasive CT scan. These modalities have their corresponding advantages, but colonoscopy offers a relatively higher sensitivity, at a generally acceptable risk level. Colonoscopy is a simple procedure not requiring hospital admission. 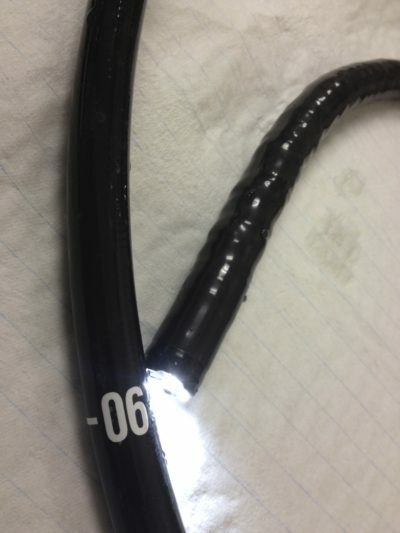 It involves the insertion of a soft flexible tube, allowing the visualisation of the lining of the colon, for the detection of polyps and other abnormalities. It is always done under intra-venous sedation, so patients will not experience any pain, nor remember the procedure. If colon polyps are detected, they will be removed at the same sitting. While the report of the procedure will be ready immediately after the colonoscopy, a full report of the polyps might take 2 to 3 days. While the colonoscopy takes an average of 12 to 15 minutes, the sedative effects of the medications takes about 2 to 3 hours to completely reverse, and the patient is rested in a private and comfortable room in the Endoscopy Centre. The whole process typically takes up to half a day. The Clinic for Digestive Surgery offers screening of colon cancer and rectal cancer through colonoscopy packages. 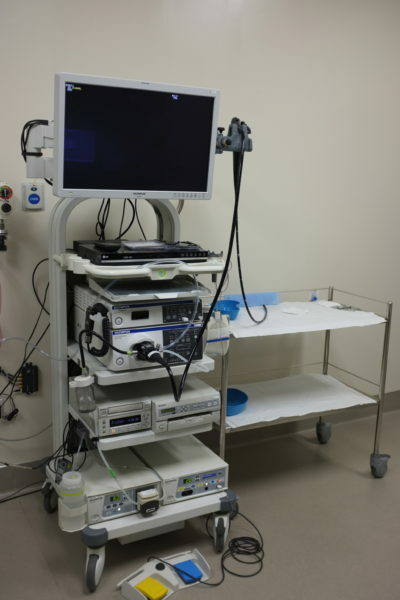 Gastroscopy for the screening of stomach cancer is also available as an option to the colonoscopy package. These packages are Medisave-claimable, and full coverage if often possible through comprehensive MediShield plans. While the Clinic is located at Mount Elizabeth Novena Hospital, where the colonoscopy can be performed, we will be most happy to perform the endoscopy at any private hospital in Singapore. At your convenience, we can schedule the colonoscopy to be performed at Mount Elizabeth Novena Hospital, Mount Alvernia Hospital, Parkway East Hospital, Gleneagles Hospital or Mount Elizabeth Orchard Hospital. Dr Foo Chek Siang is a senior consultant endoscopist, having vast experience in both diagnostic and therapeutic gastroscopy and colonoscopy. He has also previously served as the Surgical Director in the Endoscopy Centre of Changi General Hospital, overseeing the training and accreditation of Endoscopists. He has also served as a member of the endoscopy accreditation committee, presiding over the experiences of prospective endoscopists and ensuring their credibility before approving their practices. For questions about colon cancer, and on our Endoscopy packages, contact Clinic for Digestive Surgery at +65 6570 2702 to speak to our SSN Karen, our Clinic Nurse. Alternatively, you could drop us an email at doctor@clinicfordigestivesurgery.com.